The 1870 Foundation Deed for a science college in Birmingham outlined the need for an education ‘specially adapted to the practical, mechanical, and artistic requirements of the manufactures and industrial pursuits of the Midland district’, excluding ‘mere literary education’ and ‘all teaching of theology’. 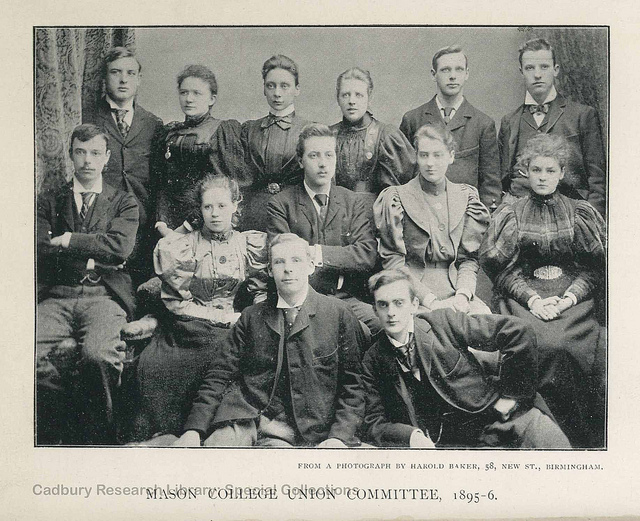 This blog post indicates some of the ways that a Mason College education in the 1880s and 1890s shaped its students’ identity. The institution’s proposed name – ‘“Josiah Mason’s Scientific College” or “Josiah Mason’s College for the Study of Practical Science”’ – implied that this was a place of vocational learning that taught applied science. The student body grew from 95 upon opening in 1880 to over 400 in 1889. From the beginning all classes were open on equal grounds to men and women and Mason College students had a wide variety of backgrounds and motivations for study; programmes of study could be focused or comprehensive. In 1885, Prof. Charles Lapworth noted that ‘a fair proportion’ of the ‘students attend solely for the pleasure of self-culture or because they have a bias for the study of some special language or science.’ Many others came with the intention to apply what they learned to industry or pursue a teaching career. Whilst the college’s growth was important, its diversification was more significant in terms of student identity; it soon taught a wider range of science and humanities subjects to accommodate. The Arts Faculty assumed an increasingly prominent position within Mason College (teaching English, French, German, Greek, and Latin) and the Science Faculty diversified, coming to encompass Chemistry, Physics, Zoology, Botany, Physiology, Geology, Mining, and Engineering. T. H Huxley’s address ‘Science and Culture’ at the opening of Mason College in October 1880 concurred with Mason’s rejection of a traditional, classical education in favour of the scientific. However, these views were called into question during the toasts at the subsequent luncheon. R. W. Dale, a campaigner for education reform, characterised science as an upstart that, while undoubtedly important, did not challenge the sovereignty of ‘Art and literature, ethics and religion’. Even among Mason College’s supporters there was no consensus about the relative merits of a modern scientific versus a classical arts education. This discussion actively shaped the identity of the institution. E. A. Sonnenschein’s 1885 lecture ‘Culture and Science’ suggests how the dialogue between the arts and sciences fared in the college’s first five years. Sonnenschein, a philologist teaching in the Arts Faculty, emphasises the importance of the ‘scientific attitude’ in all disciplines while conceptualising scientific thinking as more valid and complete if expressed in conjunction with poetry. A glowing review in the Mason College Magazine indicates that this position resonated with students. The magazine provides deeper insights into the self-fashioning of student identities within this institutional framework and offers the most immediate accounts of academic life in Birmingham the 1880-90s. Set up in 1883, issues comprised of editorials, letter, reports of debates, papers given at societies, essays, stories, poems, and reviews. As Anne Rodrick has recently noted, editors ‘solicited contributions from writers who had developed literary style through a “more thorough general education” rather than through the study of science. [… they scolded] contributors whose reports on scientific societies were unintelligible’ and unliterary. So, even the main organ of a primarily scientific student body found it hard to reconcile assumptions about scientific versus artistic endeavour. The negotiation between science and art encouraged students to embrace permeable disciplinary boundaries but they nonetheless came to define themselves in relation to one another. This process of self-fashioning is most obvious in a series of anonymous caricatures from 1890 of the ‘Arts Student’, ‘Scientific Damsel’, ‘Medical Student’, and ‘Engineering Student’. Each was defined by stereotypes of gender, class, and intellect, manifesting anxieties about being labelled with one’s discipline and demonstrating presumptions regarding mutual unintelligibility between the arts and sciences. If, as Rodrick observes, Mason College Magazine’s primary function was ‘to conceptualize the “true” Mason student’, these portrayals sit at odds with the general attitude encouraged by Mason College, which sought to trouble disciplinary boundaries and hierarchies through active discussion. The magazine’s ideal, entailing a unity of scientific knowledge and literary capabilities, rendered Constance Naden the consummate Mason College student. As a first-class prize-winning science student who published essays and poetry on evolutionary biology, sociology, and materialist philosophy and was editor of and contributor to Mason College Magazine, Naden was a polymath with interdisciplinary aspirations that were encouraged and supported by her experiences at the college. The demonstrator rejects the absolute nature of scientific knowledge, exposing ‘initiates’ to ‘doctrines esoteric’; Naden offers a light-hearted response to her ‘chemic faith’ being ‘shatter[ed]’. A two stanza ‘Reply’ from T. T. (Thomas Turner, Chemistry department demonstrator) mirrors Naden’s to ‘thank her for her pleasant rhyme’. Turner ends on a more serious note: ‘He’s no regret for causing doubts / […] / For doubts should only lead to faith, / In nobler, truer things.’ These poems illustrate how societies provided space to consider unknown or unverified aspects of science. That Naden and Turner communicated these experiences in verse underscores the open and comprehensive attitude to knowledge at Mason College. Mason College, which became the University of Birmingham in 1900, enabled its students to seek different ways of expressing and communicating scientific thinking and disciplinary allegiances. While interdisciplinary thinking was encouraged by institutional structures, the student body nonetheless found it hard to shake off social stereotypes. The Mason College Magazine provided a forum to work through (but not resolve) tensions between the ‘Arts Side’ and the ‘Science Side’. The case of Mason College therefore encourage us to consider more closely the interrelations between disciplines in late-Victorian higher education contexts. 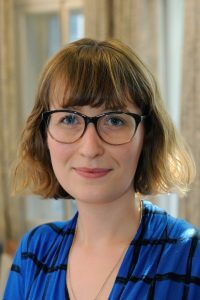 Clare Stainthorp is the 2017/18 Nineteenth-Century Matters Fellow at Cardiff University, a position sponsored by BAVS and BARS to support early-career development. Her AHRC-funded doctoral research at the University of Birmingham was on poet, philosopher, and student of science Constance Naden, and her monograph on this subject is forthcoming with Peter Lang (having won their 2017 Young Scholars Competition in Nineteenth-Century Studies). An article on her discovery of Naden’s adolescent notebooks will be appearing in Victorian Poetry later in 2018. She has also published in Journal of Victorian Culture, Victorian Literature and Culture and Literature Compass. Clare is currently developing a project on the language of religion and interdisciplinary discourses in late-nineteenth-century freethought periodicals, a 2017 Curran Fellowship from the Research Society of Victorian Periodicals having supported preliminary archival research into this area. She can be found tweeting at @ClareGS87. Josiah Mason, ‘Deed of Foundation of The Mason Science College. 12th December 1870’, Birmingham, Cadbury Research Library, UB/MC/G/1/1, p. 21. 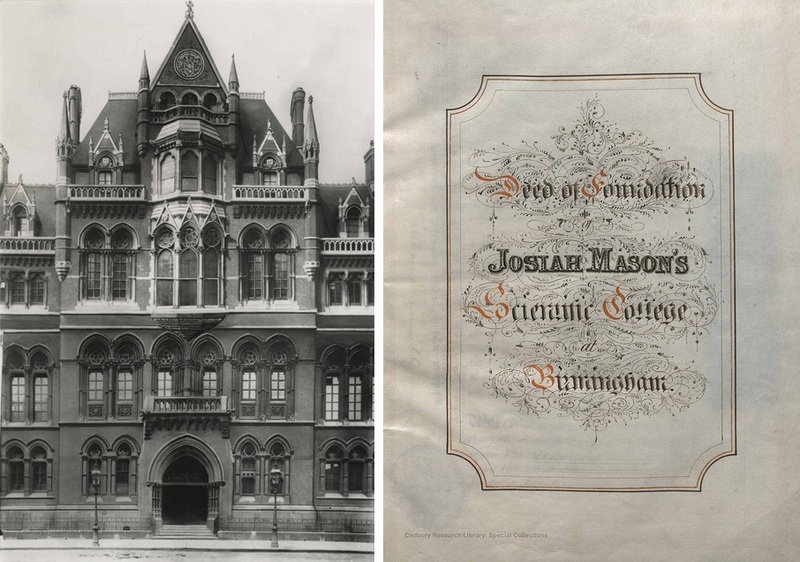 Mason College became the University of Birmingham in 1900. Eric Ives, L. D. Schwarz and Diane K. Drummond, The First Civic University: Birmingham 1880-1980 (Birmingham: Birmingham University Press, 2000), p. xiv. Mason Science College, Calendar for the Session 1880-1881, (Birmingham: Cornish Brothers, 1880), pp. 59-116 (p. 96). E. A. Sonnenschein, ‘Culture and Science’, Macmillan’s Magazine 53, November 1885, pp. 5-16 (p. 11). C. C. W. N., ‘Culture and Science’, Mason College Magazine 3, October 1885, p. 113. Anne Rodrick, ‘“There Will Ever Be an Aristocracy of Talent”: The Mason College Magazine, 1883-1900’, Victorian Periodicals Review 50 (2018), 787-801 (p. 789). C. C. W. N., ‘Freethought in the Laboratory’, MCM 3, June 1885, pp. 83-84 (p. 83), ll. 1-4. T. T. [Thomas Turner], ‘Reply’, MCM 3, June 1885, p. 84, ll. 3, 5-8.